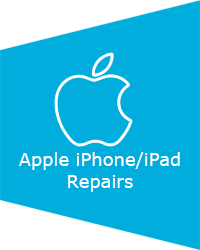 PC Care can repair your damaged or faulty iPhone or iPad. Free local collection/delivery service available (within 10 miles of Dronfield) or courier service available. For a quote on a repair to your iPhone/iPad contact us at PC Care and let us know the generation/model of iPhone/iPad you have and the fault. We will then give you a free no obligation quote. Click here for a quick and easy email contact form.